Beliefs and actions. Do yours match? 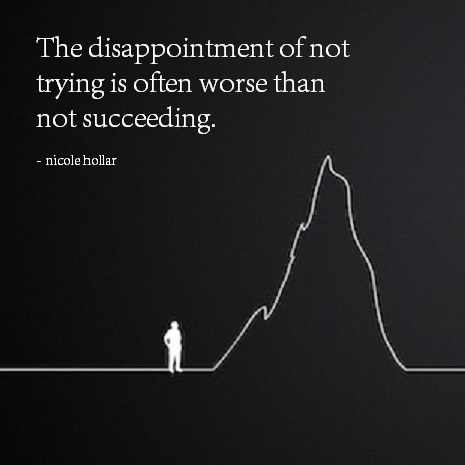 The disappointment of not trying is often worse than not succeeding. Much internal conflict arises when we feel we are or should be a certain way but don’t practice it in our everyday life. Our beliefs and actions are out of sync. What is worse, the disappointment of not trying or the disappointment of not succeeding? The shear act of trying something new yields its own success.